When you’re looking for ideal California wedding locations in warm environments, San Diego really has it all – the beach, the weather, the backdrops, the food, and the laid-back atmosphere. We’ve been fortunate to photography several San Diego weddings and can’t wait to get back for more! One of our favorite San Diego wedding venues is the Rancho Bernardo Inn – the perfect place for hosting a large guest list and providing a great San Diego resort experience. 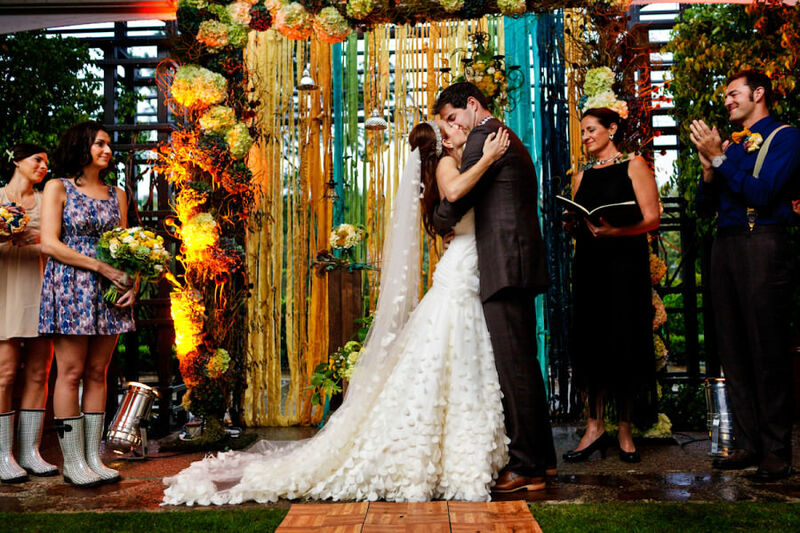 No matter what San Diego wedding venue you choose, you’re in for a great weekend! It never rains in San Diego! But it did at Ricki and Geoff’s wedding, and the result was a day of beautiful serendipity.